GELADOS There are 33 products. Set of 20 plastic stickers for ice cream. 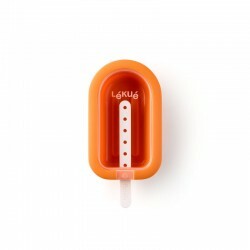 The leak-proof base lets children enjoy the treat without getting dirty. The cover protects ice cream from freezer odours and flavours. It includes easy recipes REF: including lactose-free recipes. 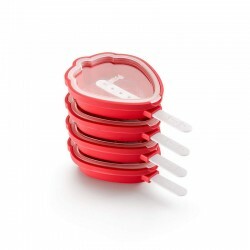 Get healthier and more natural ice cream with a collapsible, space-saving mould. 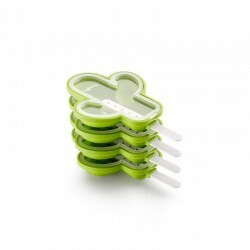 A set of 4 molds to make cactus ice creams easy to unmold. Its design allows stacking, saving freezer space. 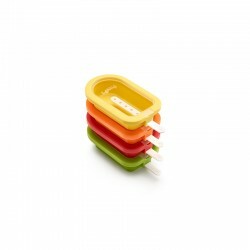 The lid will protect popsicles from smells. 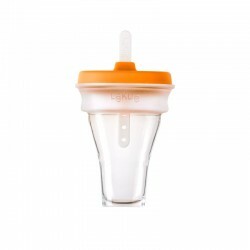 Their horizontal position allows for easier and more stable refilling. It includes easy recipes. Enjoy preparing ice cream with fun tropical fruit shapes! 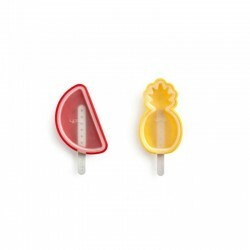 4 Platinum Silicone molds with lid to make tropical fruit shaped ice creams easy to unmold. Include 4 molds (2 in shape of water melon and 2 in shape of pineapple) and easy recipes, also lactose- and gluten-free. A set of 4 molds to make strawberry ice creams easy to unmold. Its design allows stacking, saving freezer space. 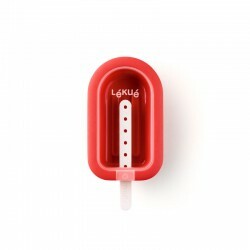 The lid will protect popsicles from smells. Their horizontal position allows for easier and more stable refilling. It includes easy recipes. 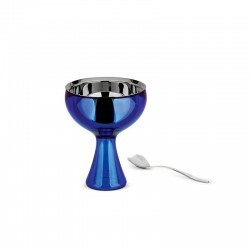 Ice cream bowl and spoon blue in 18/10 stainless steel and thermoplastic resin. It is a big bowl designed for lovers, who can eat ice cream together and therefore provided with a big spoon. Ice cream bowl and spoon fúchsia in 18/10 stainless steel and thermoplastic resin. 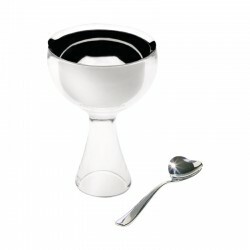 It is a big bowl designed for lovers, who can eat ice cream together and therefore provided with a big spoon.